Bill and I are introducing a new series or theme here at the Ten Ring. It is based on the question; "What is it like to be a gun nut in today's world?" Bill and I will look at how gun nuts are treated today, how gun ownership has affected our lives, and where gun people might be in the future (or anything else we can throw in). Things have changed. Denise remembers when hardware stores, even Sears, used to carry firearms. When Denise was a teenager, she would get on her bike with a .22 rifle in a scabbard and go to sand pits at the edge of town for target practice. No one called the police about a kid with a gun. Going shooting was an innocent activity. Owning a gun was no more a cause of suspicion than owning a car or a bike. For our grandparents, guns were simply part of life. Our grandparents or great-grandparents could buy a fully automatic gun through the mail. Guns were carried without permit by many white people (carry permit laws in the Jim Crow era were a racist device intended to disarm blacks see Clayton Cramer's The Racist Roots of Gun Control). People carried tiny semi-autos in vest pockets, or in women's clutch bags. This was normal and few people questioned it. Things started changing with the assassinations of the 1960s. The 1968 Gun Control Act made guns harder to buy or sell. The act, among other provisions, established a "prohibited persons" category, people who no longer could buy guns or ammo. The list has grown longer over the years. 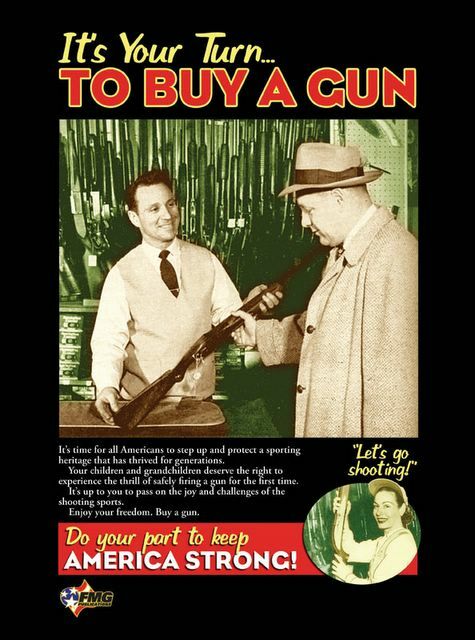 The act stopped mail order sales of firearms and ammunition, limited handgun sales to in-state only and long gun sales to contiguous states, prohibited the importation of foreign military surplus firearms, and most significantly established a "sporting test" for some firearms. This test was right out of Nazi gun control laws (Jews for the Preservation of Firearm Ownership). Some provisions were overturned or ameliorated in 1986 with the Firearms Owners' Protection Act (McClure-Volkmer). The 1968 law, the peace movement, reaction against our grandparents' world, and hippie culture all made owning guns suspect for some people. We have had people ask us, "Why would you want to own anything that was designed to kill?" The looks of disgust on the questioners' faces are priceless. We doubt America will ever return to a time when gun ownership was no more an issue than owning a car or a bike. This series will tell how we cope with this new world. We will tell you how we got carry permits when we lived in Massachusetts (where you have to have a permit to own a gun at all), how we have related to anti-gun co-workers, and many other topics. If you are a gunnie this will be familiar to you, except maybe Massachusetts's convoluted system. When you see one of the posts in this series, give a knowing smile and nod your head. If you are an anti-gun person, try to learn from our words. One of the reasons why we will never get back the innocent old days of gun ownership is because todays generations are not self responsible. Todays kids have grown up having everything laid out for them. I want and it appears. Gun ownership and responsibility demands much more. It demands respect, self assurance, expertise and above all practical common sense and knowledge of what the use of a gun entails. Anonymous has some very good points. When you own a gun you accept a deep and serious moral responsibility. My parents gave me a gun when I was 13. They monitored my use of the .22 rifle and made sure I was as responsible as they thought I was when they gave it to me. We can't teach kids to be responsible unless we give them a real responsibility and guide them. because as a nation we are evolving and we become more civilized and civilized nations do not carry guns unless needed.